Ironically, there was something profound in her statement, and yet it was uttered by someone who was more interested in what we were going to have for dessert than ever finding herself—whether she even understood what that term actually meant or not—so the impact of her pronouncement was wasted, and needless to say, so was our friendship. Anyone who goes to India is usually looking for the answer to something. There may be some initial impetus that formulates itself as a search for the meaning of life or an attempt to discover some modicum of peace. I’m not entirely sure what my own agenda was on my first ever trip fifteen or so years ago to Tiruvannamalai, other than I was compiling a collection of interviews with spiritual teachers and it seemed to be the most appropriate way to bring the research to a close. 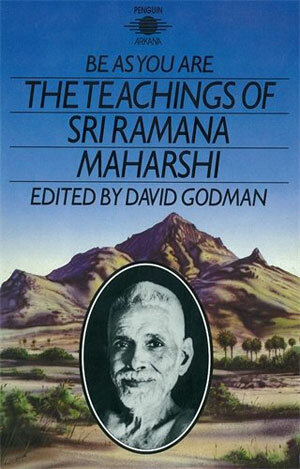 In those days, you could pretty much stay in the Ramanasramam, the community of devotees of the Indian sage Bhagavan Sri Ramana Maharshi (1879–1950), as long as you liked. I stayed in the ashram for ten days, and by the end of my trip I was literally counting the hours until my departure. I couldn’t stand it. The heat, the noise (it was the time of the full moon festival, Karthigai Deepam), the food. Despite being inexorably drawn to the holy mountain and the legacy of Sri Ramana Maharshi’s teachings, I felt the same on my second visit. And third, though by then I was starting to warm up to the atmosphere. On my fourth visit, a stay of nearly two months, I was completely in pieces on my final day, dreading the return to my so-called normal life back in the UK. I may not have found myself, but I had certainly found something that compelled me to want to stay. Forever. Photograph: © 2017, Ramanasramam, with kind permission. The interview with Sri V. Ganesan was filmed towards the end of my third trip to Tiru in 2012. 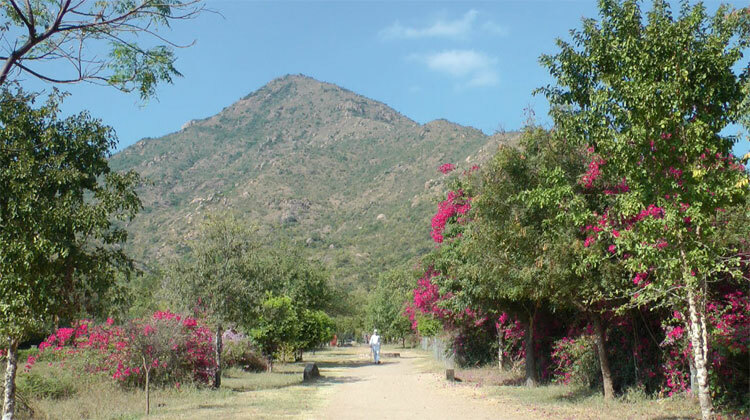 The great nephew of Bhagavan, Sri Ganesan lives a kilometre or so away from the ashram in a quiet and elegant homestead, set back slightly from the main road, surrounded by luscious trees and blossoming shrubs. A handful of devotees joined us on the day of the shoot and helped out with setting up the equipment, as the gardener quietly raked the leaves under the shade. I’ve had the good fortune of meeting and interviewing many people over the years about the spiritual path; however, I’ve long since stopped wondering if someone is “realized” or “enlightened”, whatever those hackneyed terms even mean. 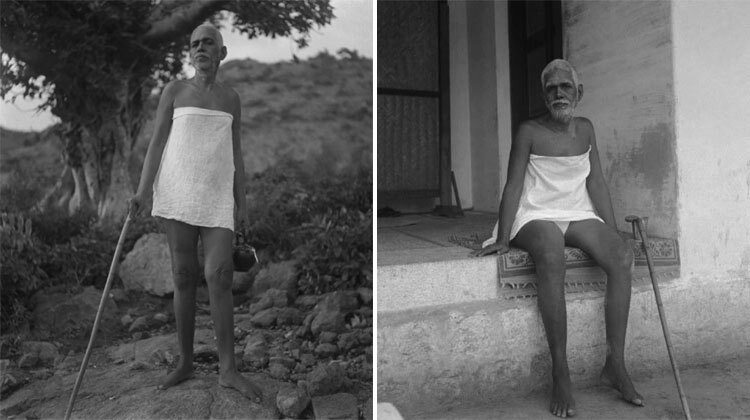 What fascinated me in my meeting with Sri Ganesan was the fact that not only was he related to Sri Ramana Maharshi but that he had also met him as a small boy. Speaking with him on that balmy afternoon, Bhagavan’s legacy was almost palpable. Being no longer interested in the pontifications and platitudes of the theory of Advaita Vedanta and the nonduality teachings, I knew this would be my last ever chance to get one final, definitive answer to the only question, at the end of the day, that really matters, Who am I?, and a means to experiencing inner peace. 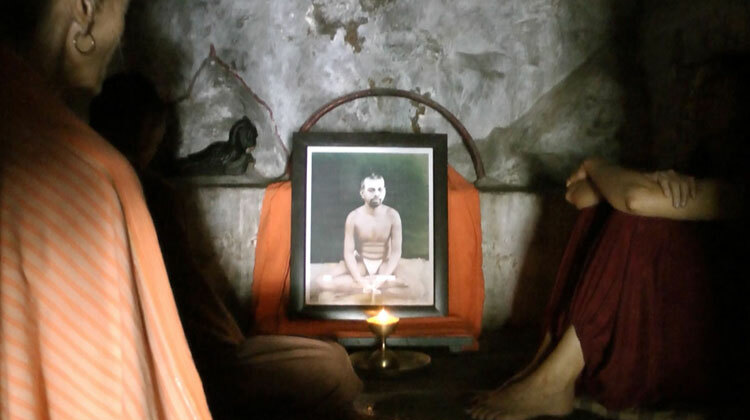 Paula Marvelly, Skandasramam, Arunachala, India. All of our lives, we have been distracted by thoughts. When a thought arises … instead of pursuing the thought, just stop and ask, ‘To whom is this thought?’ Naturally, the answer is to me … Who am I? The beauty about raising this question, Who am I?, is immediately there is a silence. The questions were finally over. It was the last interview I ever did.